This was an Official’s badge for the 1904 Olympics. This is an example of one of the types of badges given at this Olympics. Since the organizations were still relatively new at the time there is not a uniform design and other badges can look dramatically different. 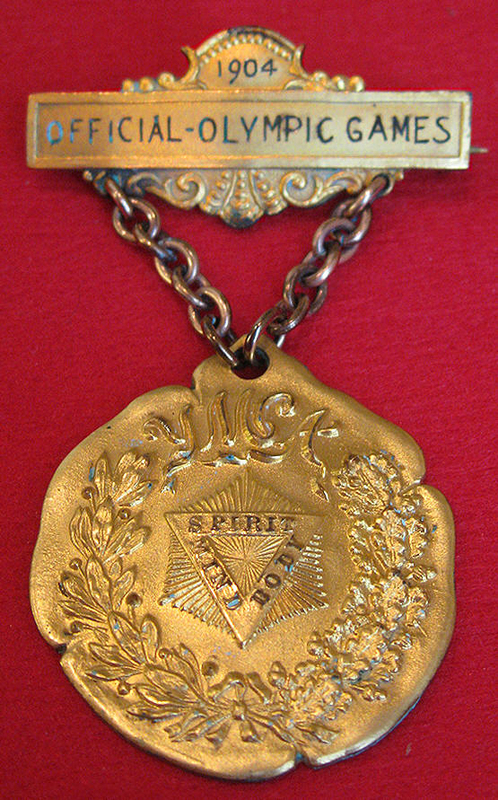 If you think you have a badge from the 1904 St. Louis Olympics please contact us for more information.